Yes it’s winter, yes it’s cold! That doesn’t mean you should sit idly in front of the TV, as your outdoor entertaining area goes to waste! Bring the warmth back by introducing an outdoor eating area to your backyard! 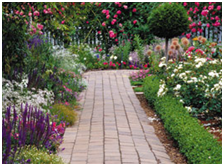 It’s easier than you might think and could dramatically change the way you use your backyard. In Australia, we like our big iconic monuments. From the Big Banana to the Big Koala, we are proud of our Aussie culture. And what’s more iconic to the modern Australian Backyard than the humble Australian Deck? No true blue backyard is complete without one. It is important you choose a design and materials that are going to survive whatever conditions are thrown at it. So here is a brief guide to designing your very own Great Australian Deck. While the leaves change with autumn, perhaps it’s time to think about changing up your outdoor living area too. If you’re looking to modernise your outdoor space, here are some simple ideas and ways to update your backyard landscape. Autumn has most definitely settled in and while the darker and greyer weather can be disheartening, May is the perfect time to reassess and revamp your garden with the latest design trends! 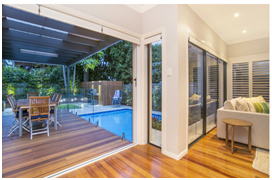 Here are five trends that you might want to try to help modernise your outdoor space.